We all know how much of a pain it is when you’re trying to get ready in the morning and want to wear that particular necklace but it’s tangled up in a ball and is just not worth the ten minutes of untangling. 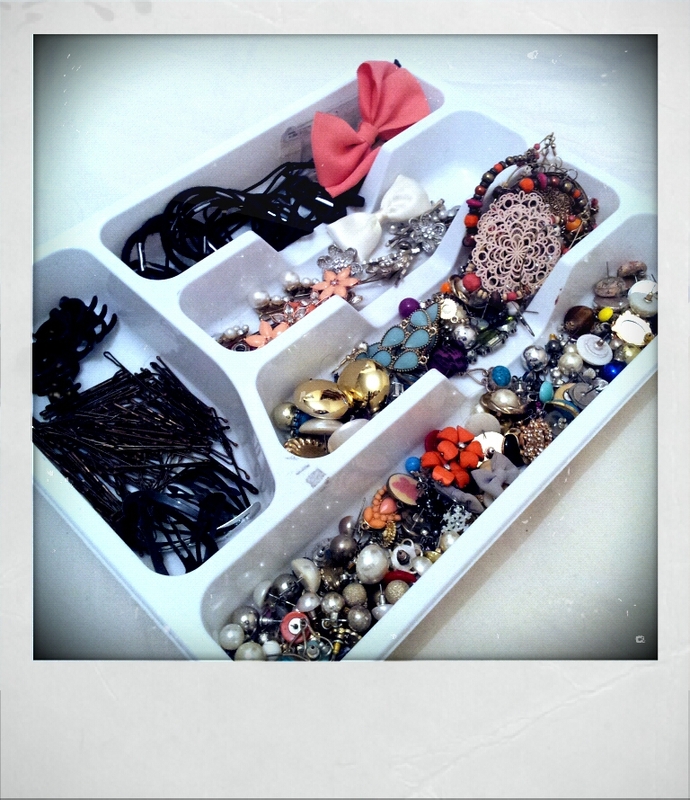 That’s why I like to keep my accessories and things tidy and easy to grab when I need them. The trick is being clever with space. I know all about this, as renting a room in a north London house share means I most definately do not have the luxury of extra storage space. I’m going to share with you some tips and let you in on how I keep my stuff organised without taking up too much space, and also without breaking the bank. 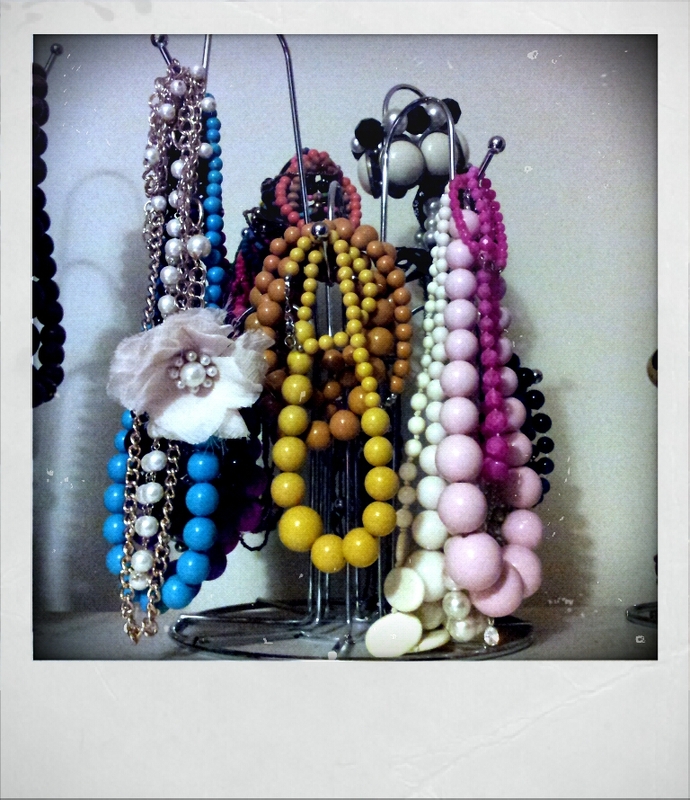 Let’s start with bracelets and bangles…. I use a chrome kitchen roll holder which cost me around £2 in a home discount store. 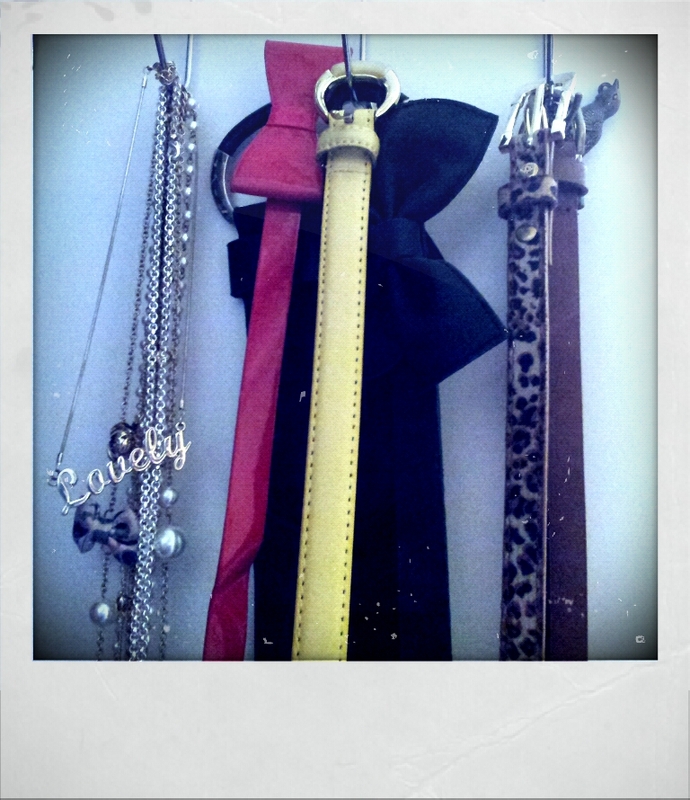 Its the perfect shape for bracelets and it still looks nice. 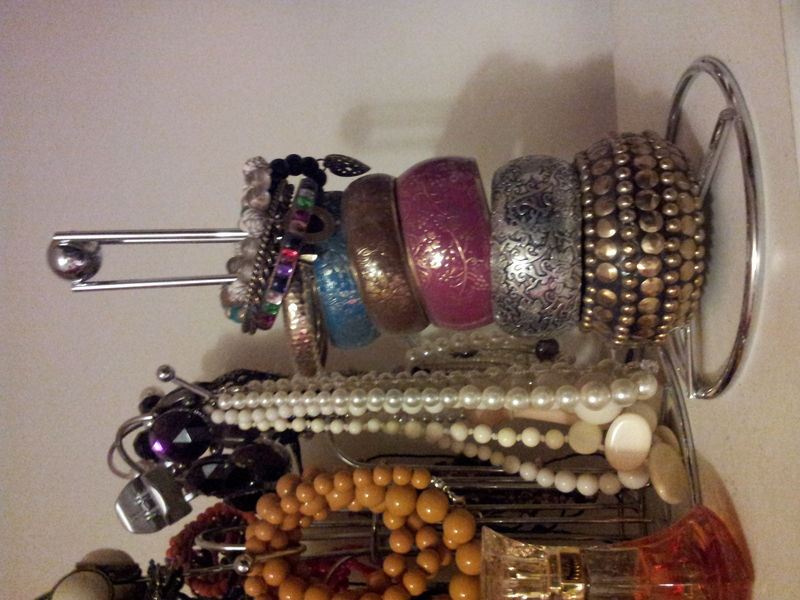 Sticking with the chrome theme, I bought this Kitchen cup holder tree in the same pound shop for less than a fiver! 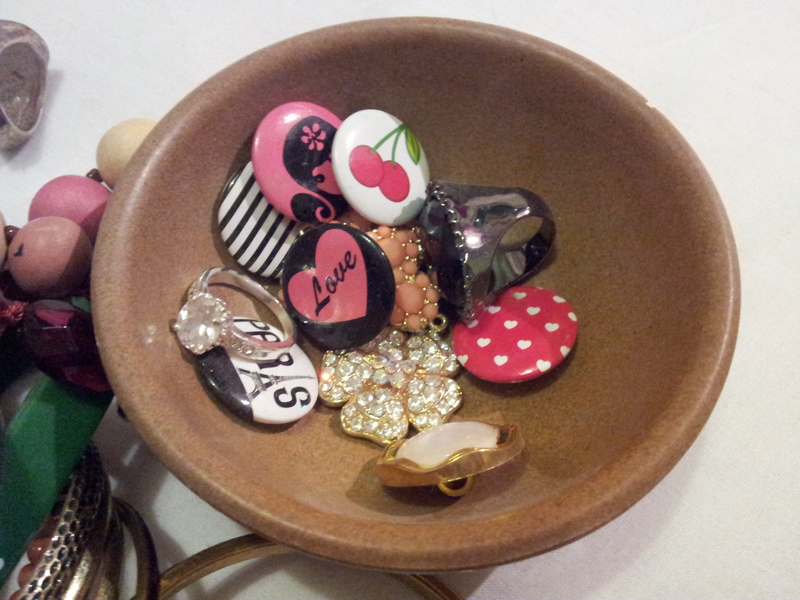 For small trinket bits and bobs….. I use this little dish which is quite cute and small so it saves on space. So there you have it, the use of Kitchen accessories in the bedroom is a clever way of de-cluttering and also makes getting ready in the mornings so much less stressful! 6 Responses to Super organised!